Problem skin requires special care, and the cream for acne differs in composition from the usual moisturizer. It should include components that will help you cope with your problem. Entering the store in search of an acne cream, pay attention not only to the inscription "for problem skin" on the tube. Read the label that the product is equipped with. In your cream should be present components that can carefully and effectively deal with acne. It is desirable that the agent for the problem skin contain salicylic acid. It is able to penetrate into the deep layers of the epidermis, caring for them. Salicylic acid has a drying effect, which is very useful. Zinc is another frequent component of cosmetics designed to treat problem skin. It also has a drying effect, but it is also able to remove inflammation. On cosmetics containing zinc, it is worth paying close attention to in the summer: in addition to its medicinal properties, zinc is also able to protect the skin from ultraviolet radiation. Owners of problem skin are not recommended to use scrubs with abrasive particles, as they can exacerbate the problem. However, it is still necessary to remove keratinized particles. Pay attention to the night cream with fruit acids: lactic, apple, glycolic, lemon, wine. These substances can gently exfoliate the skin without damaging it. Note that creams with fruit acids are not recommended at the end of spring, summer, and early autumn, as they increase the effect of ultraviolet, which can lead to burns. Benzoyl peroxide also helps to get rid of acne. It kills germs and relieves inflammation without irritating the skin. If you use antibiotics to treat acne, this component contained in the cream will strengthen their effect. Many plant components can have a curative effect on the problem skin. Choose a cream, which will include aloe juice. It has antimicrobial properties, and also increases the rate of cell regeneration. Tools with tea tree oil, chamomile and calendula, which are anti-inflammatory and antiseptic, will also be useful. 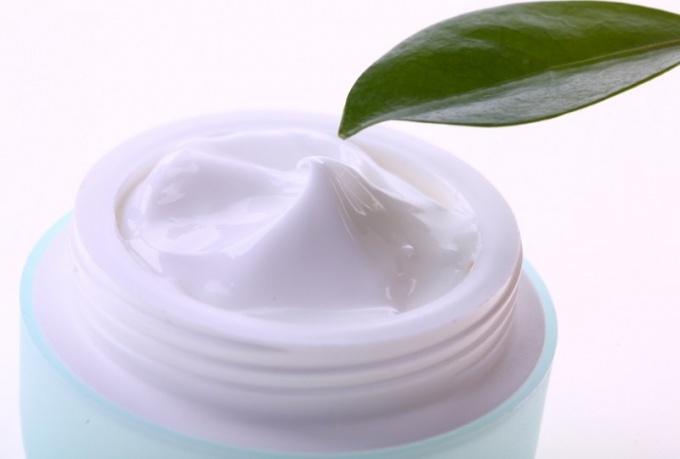 In face creams often include basic and essential oils, but owners of problematic skin should carefully consider such ingredients. Many of them are comedogenic, that is, they provoke the appearance of rashes. You should prefer a cream with jojoba oil. Despite the fact that you have pimples on your skin, it still requires moisturizing, which can provide it with jojoba. Use of this tool will not exacerbate your problem.